In Goma2 we are specialists in climbing shoes resoling. 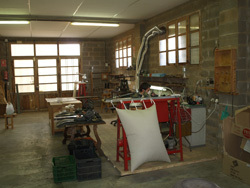 Since 1996 we have been repairing climbing shoes and improving our method. Also, we are La Sportiva and Scarpa official resolers. 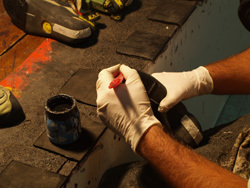 In this kind of reparation we use the original soles and lasts that La Sportiva or Scarpa provide to us and using the technology established by the respective brands to ensure the highest level of quality. Here you have the prices of the climbing shoes resoling service. The prices are including VAT. *We can't repair only the rands beacuse to repair the rands it's necesary to remove the midsole. *Goma 2 repairs the rands if it's needed, except in the case that the customer orders otherwise (in this circumstance Goma2 is not responsible if the rands break with the new soles).